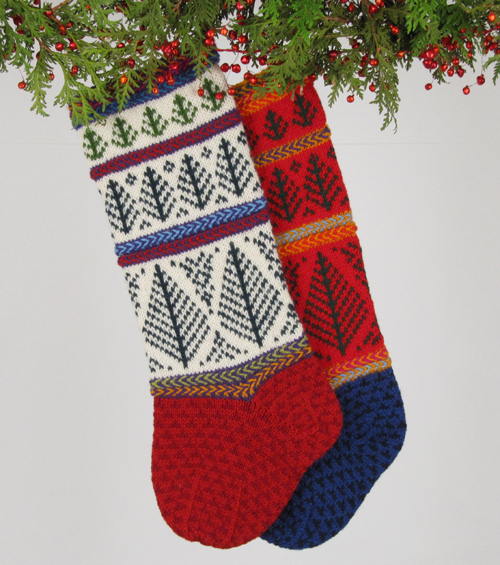 CHRISTMAS ARGYLE turns an argyle stocking into a Christmas Stocking!, and quietly provides for initials on the heel. With composed simplicity, it mixes well in holiday company of all fashions. Five to 6 skeins of 4-5 colors, depending on the colorway.